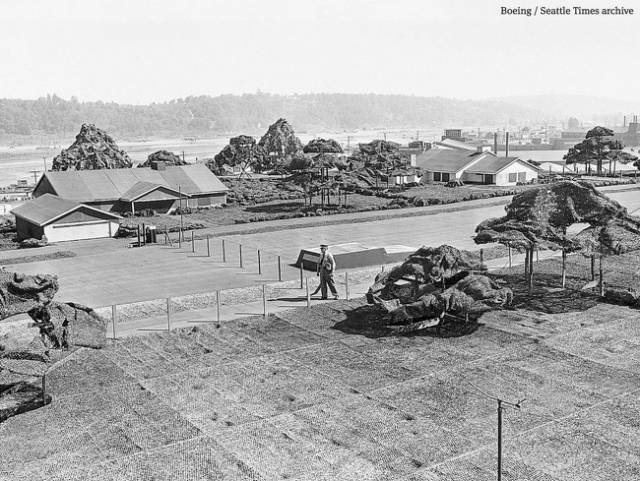 This fake city that was built on the roof of The Boeing Factory in Seattle during World War II to strategically deter the Nazis. 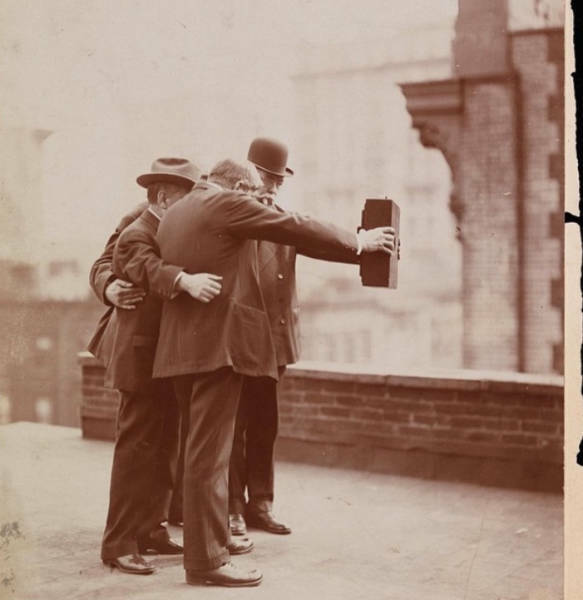 This photo was made in 1840. 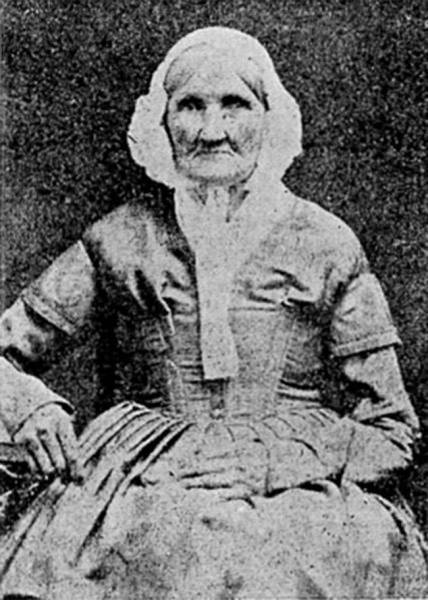 Hannah Stilley is the woman depicted in it — she was born in 1746. 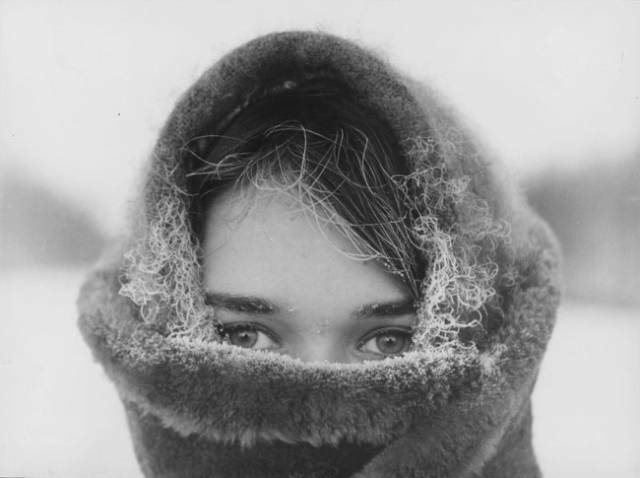 There is no other person captured by photograph who had been born earlier than her. 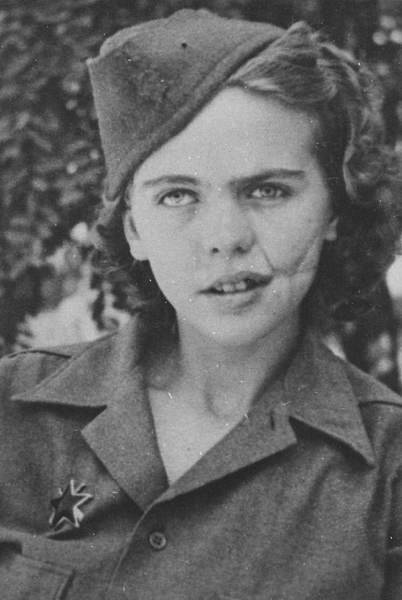 This is Albina Mali-Hočevar — a girl from Yugoslavia that had been wounded several times during the Second World War. 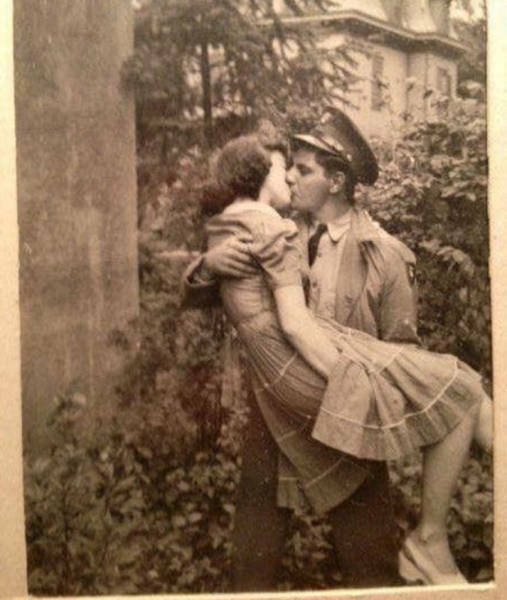 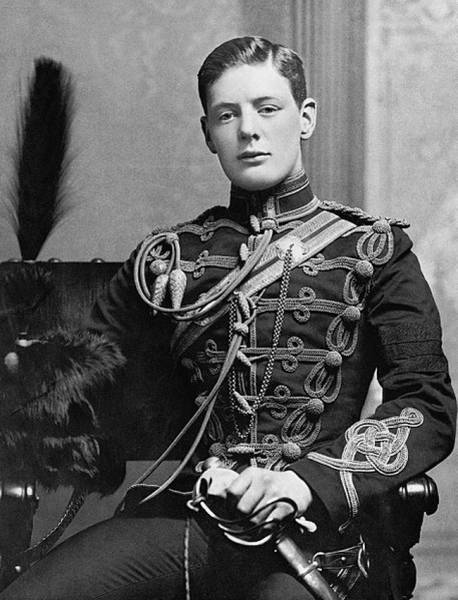 Lovers tend to look like this in every era. 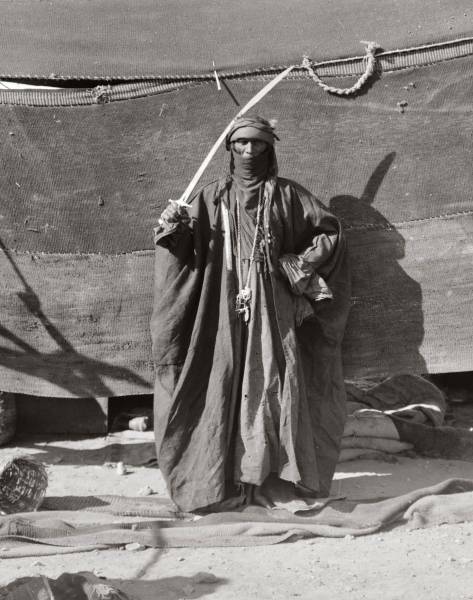 A Bedouin warrior in Saudi Arabia, 1906. 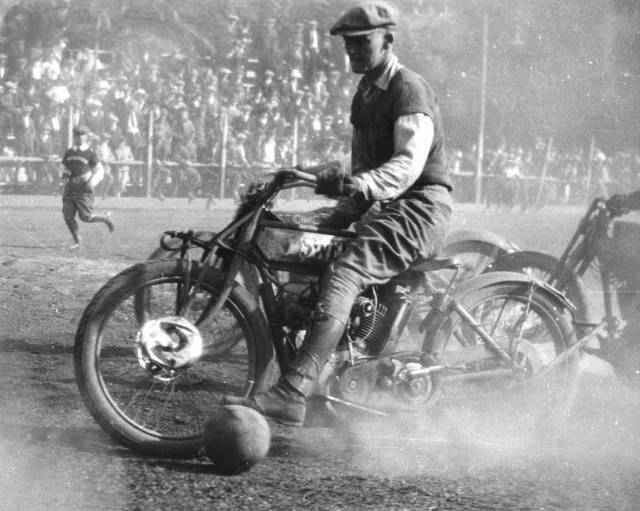 The Oakland Motorcycle Club playing motorcycle football (soccer) in Oakland, CA, US in 1924. 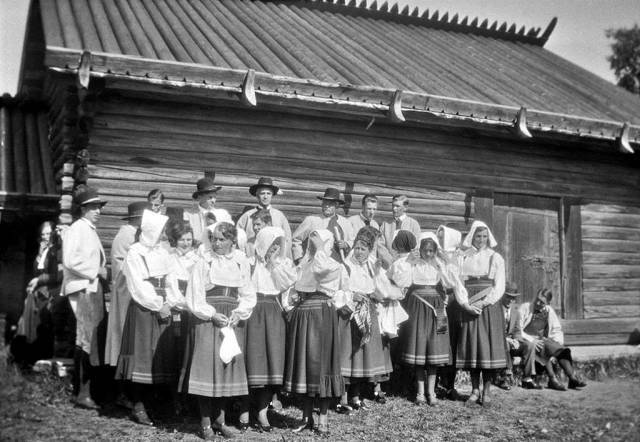 The choir sets to perform in Mora, Dalarna, Sweden in 1931. 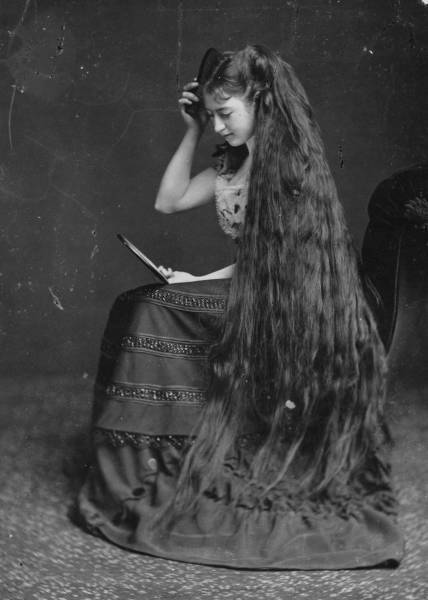 A young unknown model brushes her long hair in 1894. 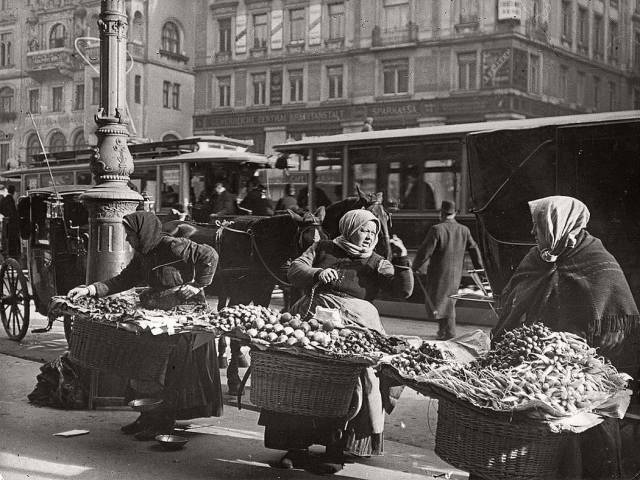 Women selling food in Vienna, Austria in 1901. 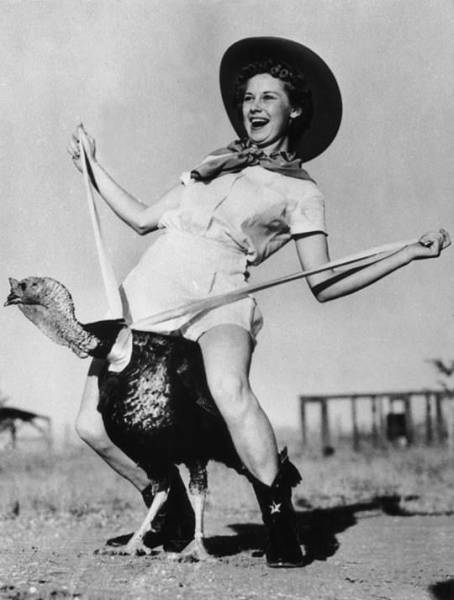 A model riding a turkey somewhere in the US, 1940. 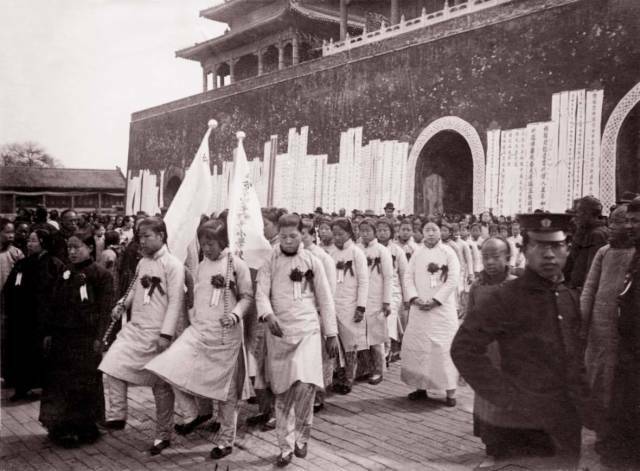 Women protesting the right to vote in Beijing, China in 1909. 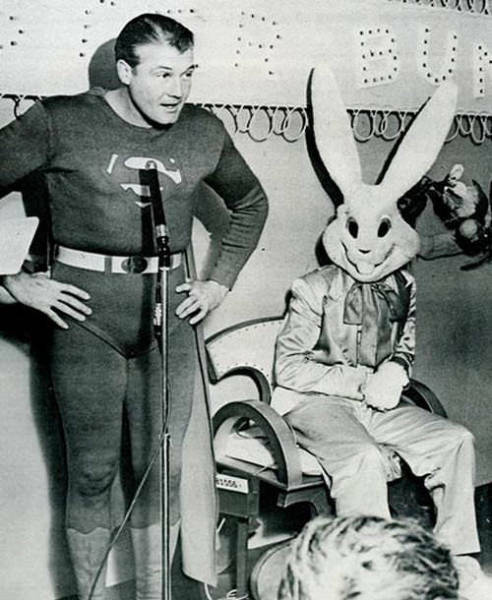 Hired actors dress up as Superman (George Reeves) and the Easter Bunny to advertise a department store in 1953. 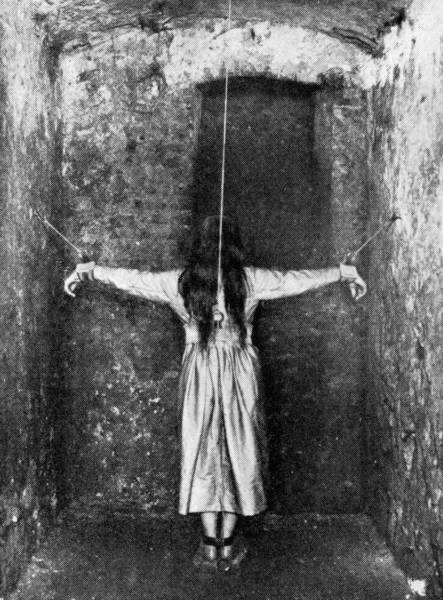 A patient in a mental institution in France, 1900. 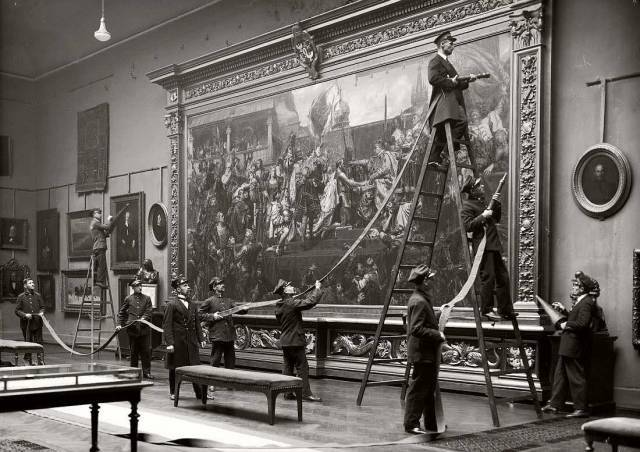 Museum employees prepare to clean around a painting in Warsaw, Poland in 1930. 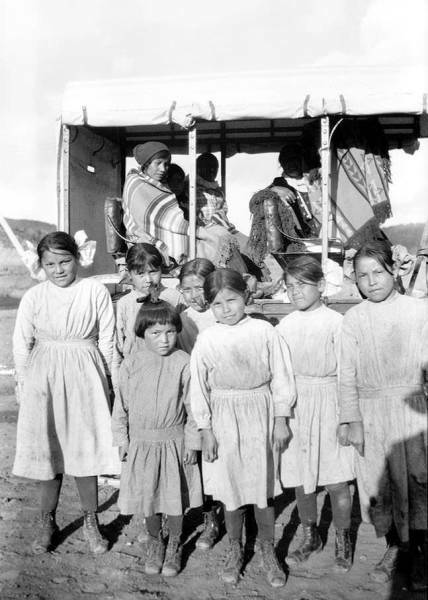 Apache children on their way to school on the Mescalero reservation in New Mexico, US in 1904. 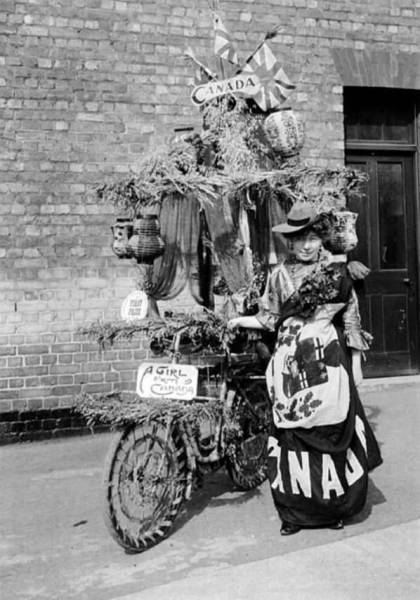 A women calling herself "A Girl From Canada" sports her bicycle in Detroit, US in 1910. 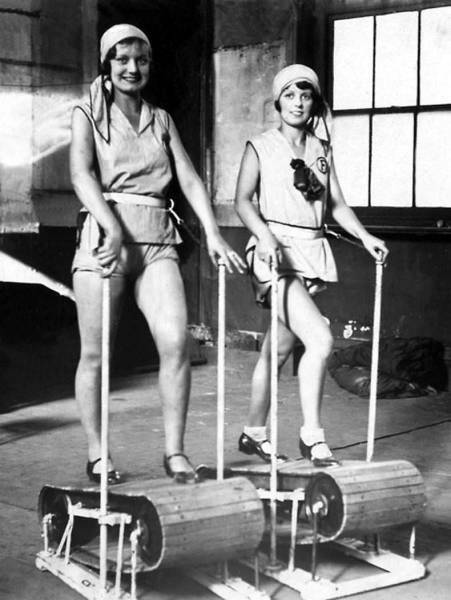 One of the first treadmills advertised using models in LA, US in 1928. 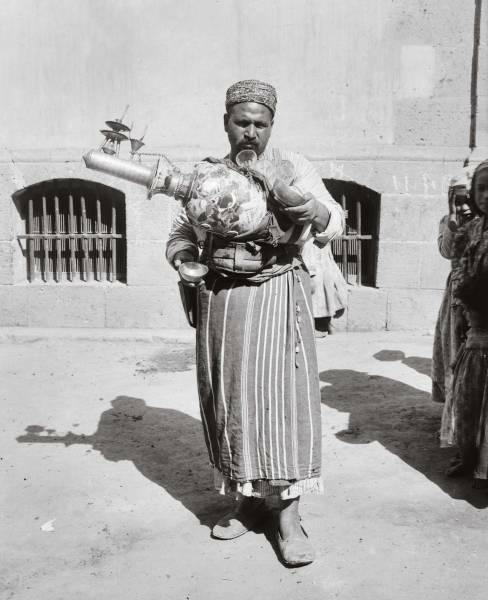 A man holds his lemonade maker as he sells cups of it to tourists in Cairo, Egypt in 1912. 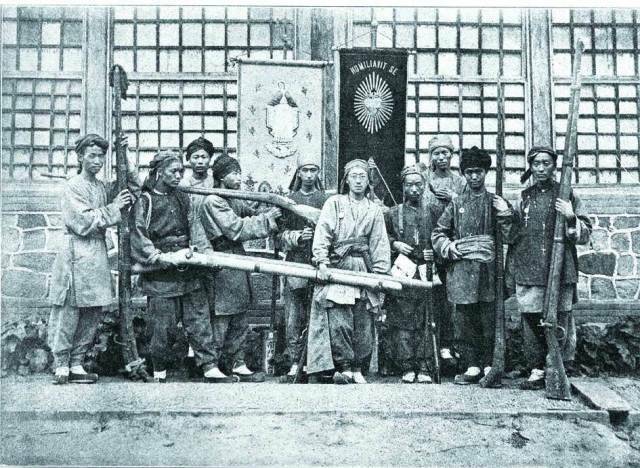 Men show off large and illegal hunting guns in Northern China, 1900. 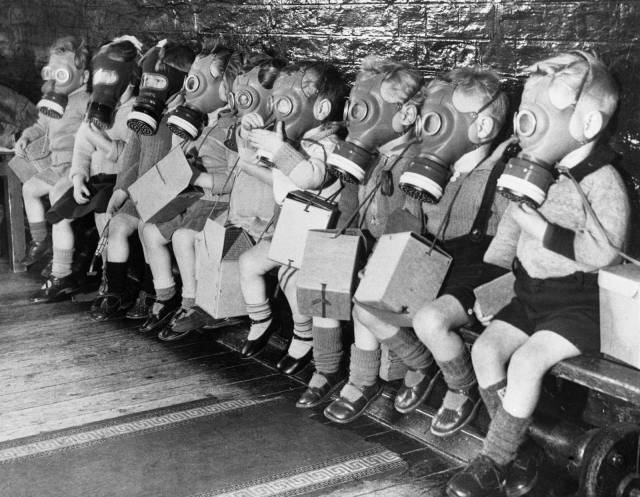 Toddlers wearing gas masks during a drill somewhere in England, 1941. 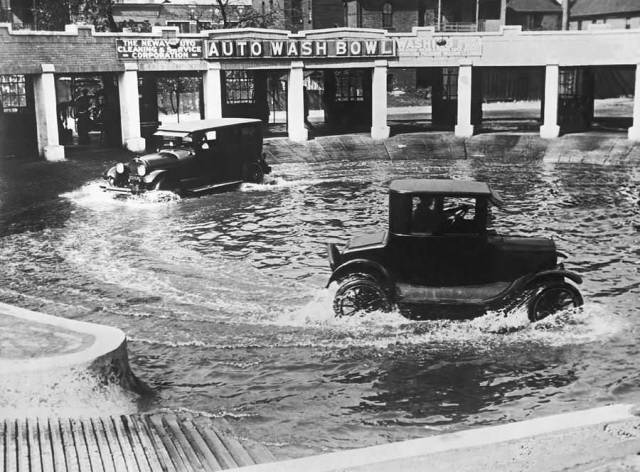 An original Car Wash designed to mainly clean the undercarriages since most roads were still dirt roads in Chicago, US in 1924. 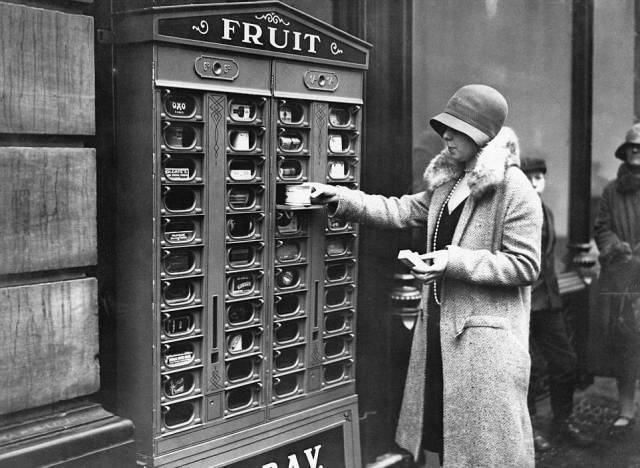 A vending machine in England in 1920 that dispenses fruit, Oxo cubes, other tins of food, matches and Colgate products. 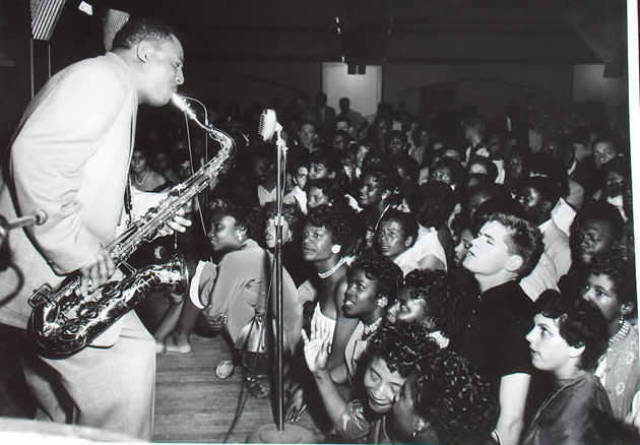 Fans enjoy a performance at a Harlem Jazz Club in NYC, US in 1926. 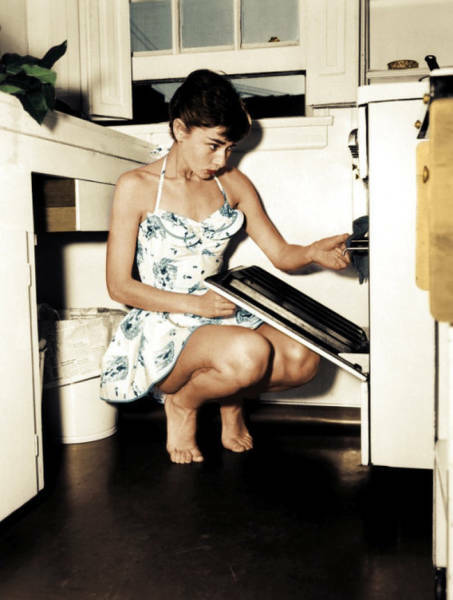 18 Year old Ruth Oliphant being inspected and coached by Mrs. Sivils on how to be a car hop girl (a waitress to drive in restaurants) in Houston, Texas in 1940. 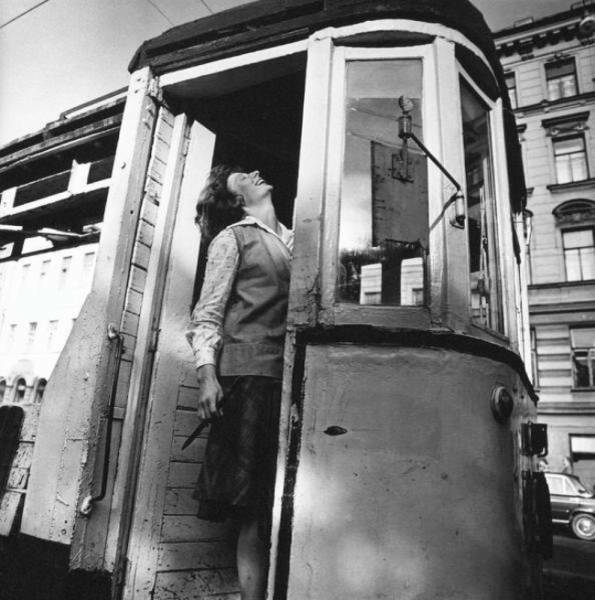 Mrs. Sivils coached the girls in diction, deportment and the importance of laughing at customers' jokes. 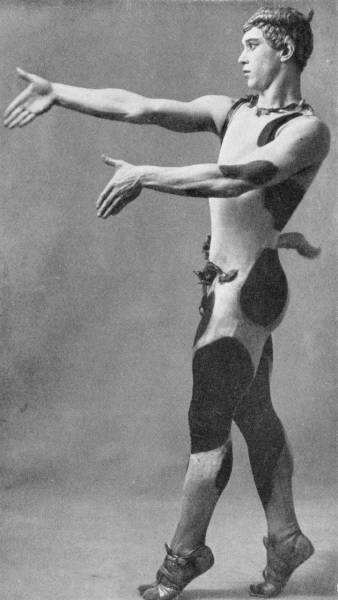 Russian ballet dancer Vaslav Nijinski poses in Moscow, Russia in 1910. 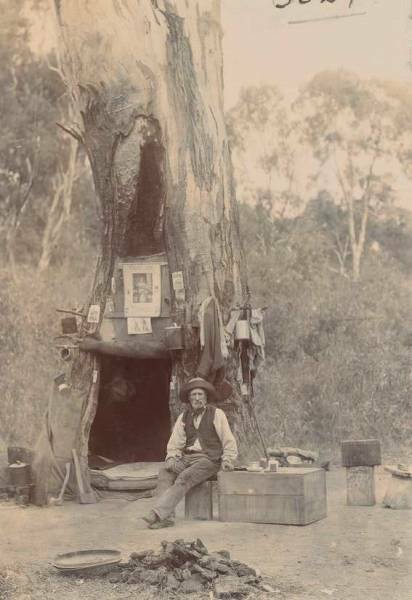 A Swagman using a hollow tree to live in somewhere in Australia, 1897. 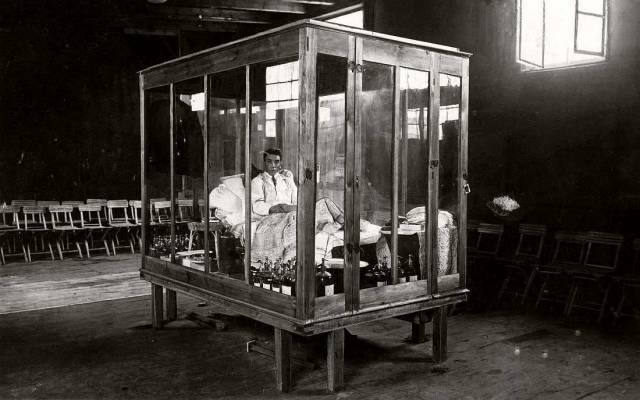 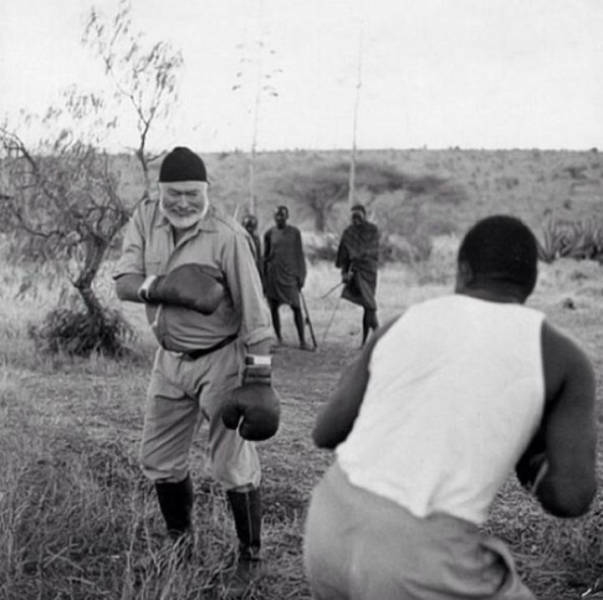 P. Kriese stays in a glass enclosure as he breaks the world record for longest time fasting in Poznan, Poland in 1929. 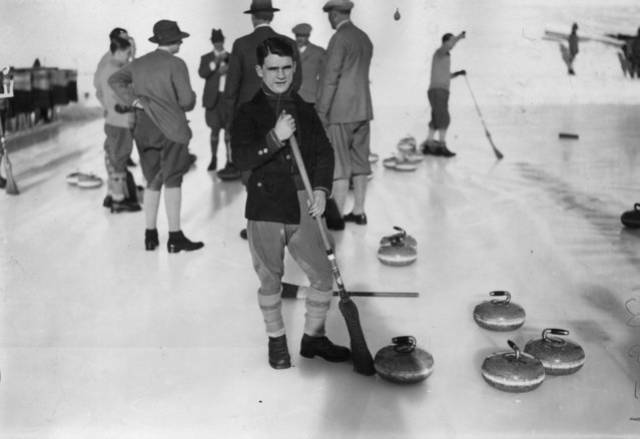 Gordon Richards (1904 – 1986) champion jockey curling at St Moritz, Switzerland, 9th January 1928. 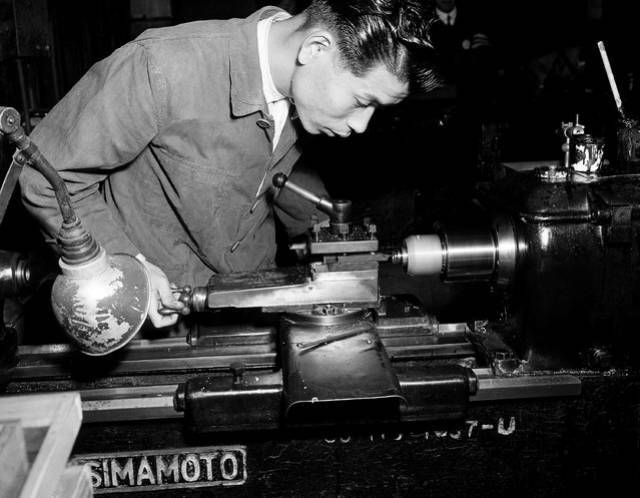 Working at a lathe, an employee at the Nikon factory machines a lens barrel mount in Tokyo, December 28, 1951. 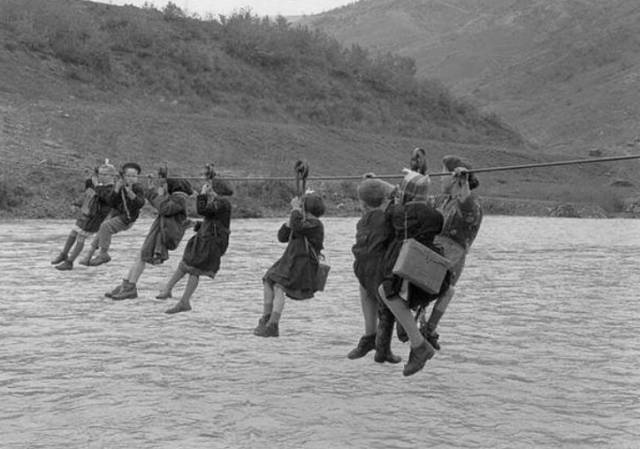 Cameras will be one of Japan's major export items in the post-peace era. 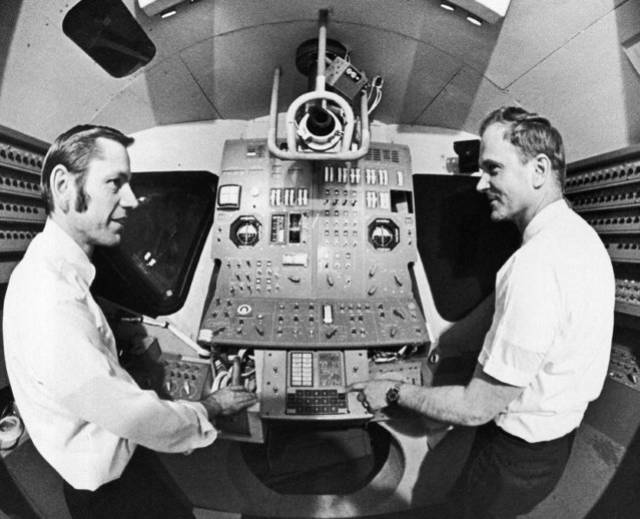 Russell A. Larson, left, Massachusetts Institute of Technology project manager for the lunar module flight program, and David G. Hoag director of Apollo Group MIT Draper Lab, point to computer in lunar module model designed for a safer way to land men on the moon for Apollo 13 in Cambridge, Massachusetts February 24, 1970. 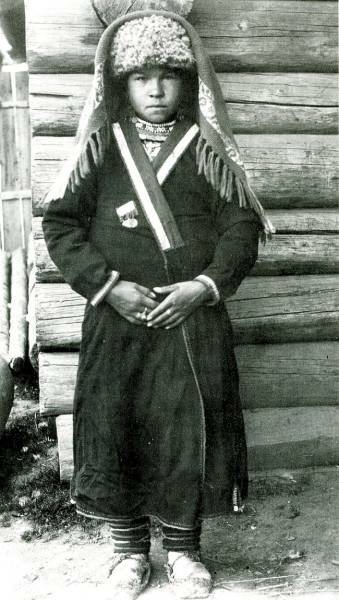 French minister of war veterans Mr. Sanguinetti will attend commemoration ceremonies for the 50th anniversary of the battle of Verdun. 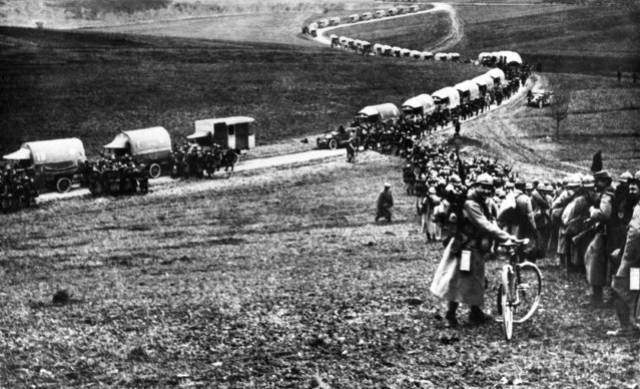 French soldiers at Nixeville in France, April 8, 1916 coming back from the front of Fort de Vaux. 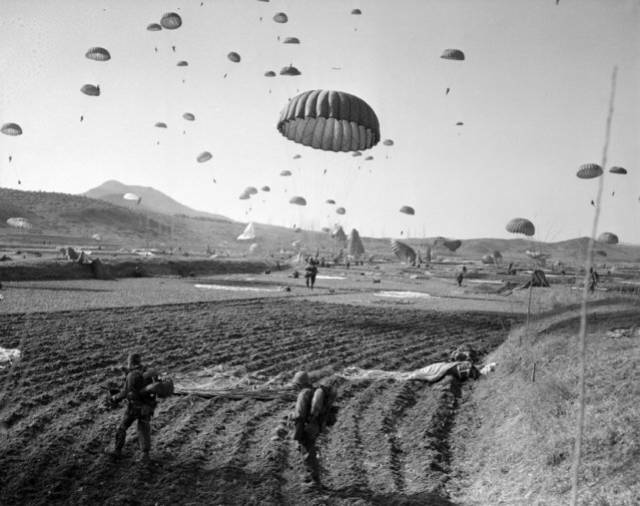 American paratroopers float to earth behind Communist lines in the Munsan area northwest of Seoul, Korea, March 23, 1951. 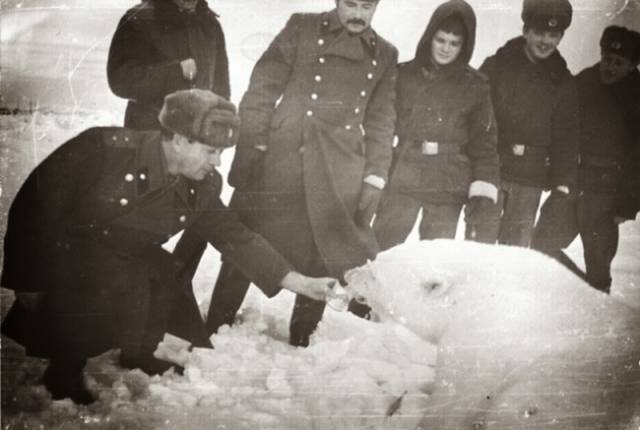 The skytroopers were joined by an armored column as the Reds attempted to surround and wipe them out. 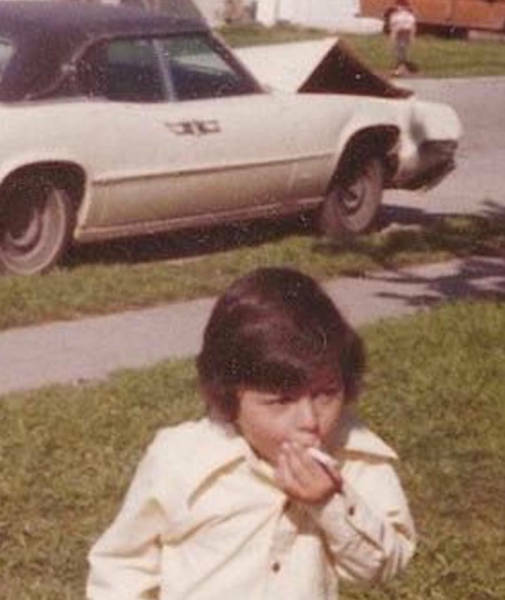 A hint of Spring Fever is evidenced by this passerby tipping his hat to a store fixture mannequin on a State St. sidewalk in downtown Chicago on March 23, 1978. 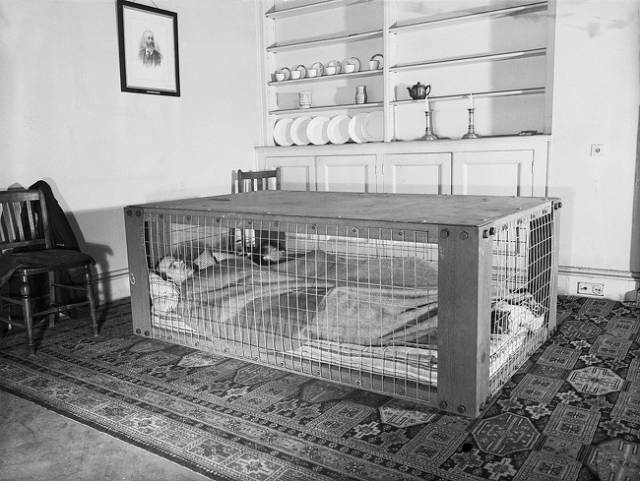 The mannequin was awaiting pickup to be transported.